THE HEART OF THE SAUNA. The choice of the right heater should be your focal point when buying a sauna. We will be happy to advise you about KLAFS sauna heaters, from small and compact models to large event heaters. MORE THAN JUST SAUNA ON / OFF. State-of-the-art sauna technology in an attractive, elegant design that lets you intuitively adjust your wellness programme. Get your sauna started with our Sauna App before you even get home. 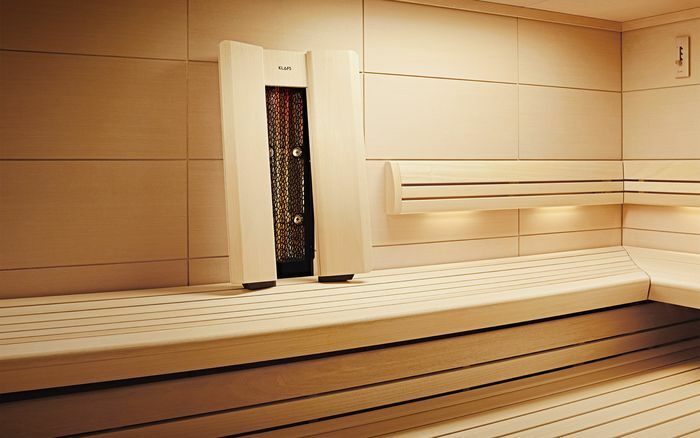 The high-quality SensoCare infrared heating technology from Physiotherm is available either integrated into the sauna or as an infrared cabin. STEAM IN ITS MOST BEAUTIFUL FORM. Based on cutting edge technology, KLAFS steam generators produce the most beautiful steam – also with fragrances on request. 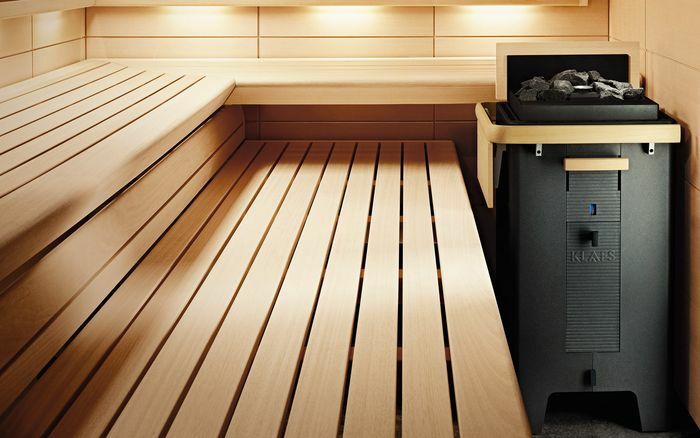 KLAFS lightens the burden on nature – our Green Sauna package reduces the heat loss in your sauna and you save energy. 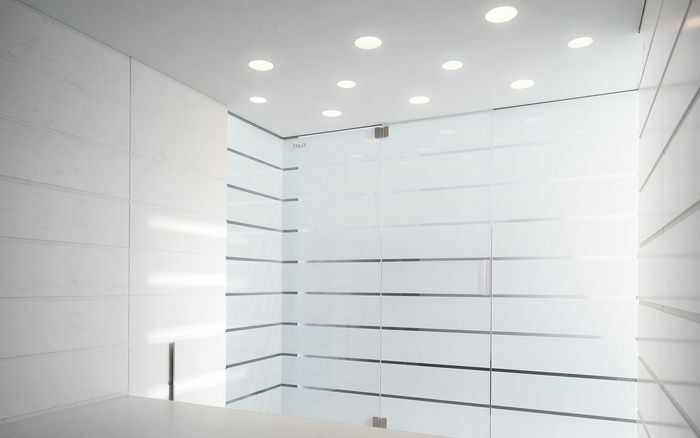 Well thought-out ventilation ensures the perfect climate in every KLAFS steam bath – and with an optimum energy balance. The KLAFS App gives you extra flexibility when it comes to controlling your sauna. It lets you conveniently start your sauna or SANARIUM® before you even get home. This saves you waiting for the sauna to warm up – your sauna will be ready and waiting for you at the perfect temperature. Switch your sauna on and off, check its status, set the timer and control the humidity – all of this is possible with the KLAFS App. It is designed for the SANARIUM® with 21033 control unit or TOUCHCONTROL and is available for all common smartphone operating systems. The KLAFS ASC safety concept protects your sauna equipment against improper handling: If the sauna door is opened while the remote switch is activated, the door contact switch registers this and prevents your sauna from being switched on. Your sauna can only be remotely controlled after prior inspection. The KLAFS App gives you control of your KLAFS sauna no matter where you are. As well as a feeling of security. Sauna and SANARIUM® technology for the spa, day spa, hotel or cruise ship must meet the highest safety standards. And this is what all KLAFS spa facilities do, as various quality seals such as VDE and RAL confirm. Safety in the spa is the top priority not only for the guests, but also for the operators. We guarantee this thanks to cutting edge sauna and steam bath technology of the highest quality. For example, KLAFS Control, the tool which lets you monitor your sauna facility remotely: And monitors your bathing or sauna attendant as well as the sauna system by smartphone or PC around the clock – and can also control it if required.